Families come in all shapes and sizes these days. If you’re in the middle of redefining your definition of family, Leslie A. Williams can help. Whether it’s helping you and your former spouse put together a proposed parenting plan for a custody agreement or working out the details of child support, Leslie is an experienced family law attorney with a calm demeanor to help everyone involved stay focused on what’s most important: setting up the best arrangement for your children. Family law cases can be very overwhelming and confusing for families to understand. If you are looking for a Family Lawyer you are most likely facin family-related issues, including but not limited to divorce, child custody, support or domestic relations. Most family law practices focus on representing clients in a divorce and the issues related to divorce such as the division of marital property, child custody and support, and alimony. Family lawyers also draft prenuptial and postnuptial agreements and litigate related matters. 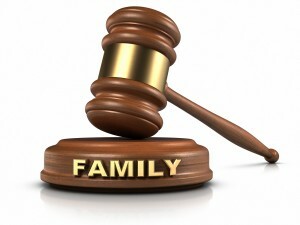 Adoption and guardianship, juvenile delinquency, and child abuse and neglect are also areas of family law. If you are searching for a family law attorney in Blue Springs, Leslie A. Williams and here team is ready to help you understand your legal rights regarding your needs. Family law cases can have such an impact on your day to day life so it is important that you have an attorney who understands the specific circumstances of your case and more importantly the law. More than any other area of the law, family law reflects the values society shares regarding how people who are related should treat each other. When you are faced with an important life decision regarding a key family relationship, the advice and assistance of an experienced family law attorney often proves crucial to your understanding of the issues involved and your satisfaction with the ultimate outcome of the family-related concern you face. Are you facing these family law issues? A divorce is the process of terminating a marriage contract between two individuals. From a legal standpoint, divorce gives each person the legal right to move on with there live and even enter into a new marriage. Divorce also legally divides a couple’s assets and debts and if the couple had children from the marriage it will determine custody of the children. If you’ve found yourself in need of a divorce attorney, Leslie A. Williams can help. Custody and visitation must address both physical custody, or the rights and responsibilities regarding the day-to-day care and activities of their children; and legal custody, or the legal rights and responsibilities associated with the child’s upbringing. Alimony, or maintenance, is a factor that can be agreed on by the parties or decided by the Judge at trial. The responsibility to provide support in the form of regular payments generally arises when one parent has primary custody of the child. Step-Parent Adoption is the legal procedure that allows a step-parent to become the natural parent of the adopted child or children for intents and purposes. Paternity testing can be used to protect your rights to access your kids or protect you from unfair child support claims against you. If you’re ready to talk to an expert family law attorney about divorce, you can come into the office in Blue Springs, use our web submission form, or give us a call at 816-220-1781.